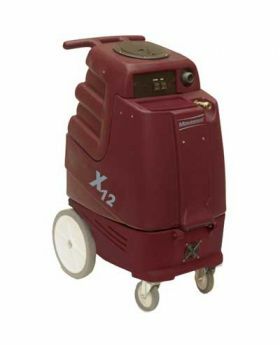 Minuteman X12 is a portable carpet extractor that cleans up to 500 sq. feet per hour. Designed with an operator-friendly control panel that features independent switches allowing individual control for vacuum and pump. This extractor is available with our without a water heating system. Both of these extractors deliver deep-cleaning power and built-in conveniences to make operators more productive than ever.